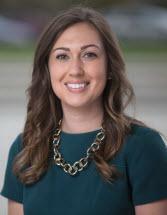 Erin Myers is a 2012 graduate of Notre Dame Law School. She graduated from Cal Poly, San Luis Obispo in 2009 and received a Bachelor of Science in Business Administration, with a double-concentration in Accounting and Marketing, as well as a Minor in Economics. She was admitted to the California State Bar in 2012. Prior to joining Frisella Law in 2018, Ms. Myers focused on estate planning and business transactions in Northern California, representing trustees, beneficiaries, businesses, and non-profit entities throughout the Napa Valley. Much of her practice area was devoted to business entity selection, formation, and ownership organization. Erin recently moved from the Napa Valley to San Diego. While in Napa, Erin was actively involved in her community, serving as past President of the Napa County Women Lawyers, and past President and founding member of the Napa County Young Lawyers Division. Erin was also actively involved as Secretary of the Kiwanis Club of Napa, and the Donations Chair and past Volunteer Chair of Napa Grad Nite, a 501(c)(3) organization that independently funds and runs the safe all-night graduation party for all Napa County high school graduates.